Sports is something we are taught to appreciate very early on as children. When playing Sports in schools is almost a religion of sorts. However, into adulthood that passionate participation in Sports can often either morph into a hobby, a form of entertainment to be followed on TV, or in some very lucky cases a Profession. People get really attached to Sports, especially the most watched sports in the world, and often make idols of their favorite sports stars and teams. Just look at the frenzy that ensues over discussions of Football Premier League Teams, it can often get as violent as Donald Trump-Hilary Clinton oppositions! Friends are made and lost on the basis of those teams! However, mapping the most popular sports in the world is quite a difficult task because different continents and countries get hyped about different sports. For example, Cricket is arguably one of the most popular sports in the UK, but is hardly played in the US, where American Football, Baseball, and Basketball reign supreme. Despite the fact that outside of North America this sport hardly has any impact at all, within the continent, however, there is such fervor over the sport that they’ve alone been able to launch it into this list with an estimated approximate of 400 million fans. Over half of them hail from the United States and Canada alone. Some of its most historically popular teams have been the Dallas Cowboys, and San Francisco 49ers. This evolved from the game of Rugby late in the 19th century and by 1920 had been properly established as a sport because of NFL. With over 400 million fans around the world, this sport too finds a locus in American Population, having been established in America in the late 19th century. However, this has been far more successful in spreading around the world than American Football. This can also be due to the fact that this doesn’t require a large field to be played at, minimal space is enough for it. Top international talents are attracted to join the NBA, American National Basketball Association, but those who don’t make it in generally play for other international leagues, which aren’t as well known as NBA. This can be both a surprising entry and an obvious entry in this list, depending on your outlook. First off, this is one of the oldest sports in this list having been established in the 13th Century in Scotland, and it has successfully spread around the world so that it now has a total of 450 million fans across Europe, Asia, and America. This would account for its vast reach. However, in comparison to the other sports in this list, it doesn’t involve any direct competition as there is no face to face challenge or any adrenalin-pumping action, it instead focuses on patience and personal skill. The score in this game also works in an inverse fashion, the one with the least number of shots used wins. This game too has its list of a good number of well established male and female players. With 500 million fans, this is another primarily American-led sport, which has nonetheless found a loyal fan base even in Japan. The first former league for the sport came up in 1876. This is a direct competition between two individuals the batter and the pitcher, however, they are backed by teams of 9 players each. The batsman mostly has to strike the ball thrown at him by the pitcher and then run in a counter-clockwise manner around the 4 bases. The most popular teams in America are the New York Yankees and St. Louis Cardinals. This is a relatively new sport, no more than a century old and initially it started with a dominance in China, eventually spreading to the rest of mainland Asia as well. However, it has now reached the rest of the world as well, which accounts for its incredible popularity with 850 million fans. One of the reasons this game is so popular is that the rules are fairly easy to pick up, the equipment are reasonable and few, and take up hardly any space at all. This game is entirely dominated by China, and especially in the Women’s tournament, no non-Chinese woman has been able to secure a gold since 1992. It is also called ping pong and is played between either two or four players, like a miniature tennis, played with small rackets over a table. Volleyball is an extremely simple game with little equipment and few rules. All you need is a ball and a net. There aren’t even any restrictions on the kind of terrain, it can be sand, grass or even cement. 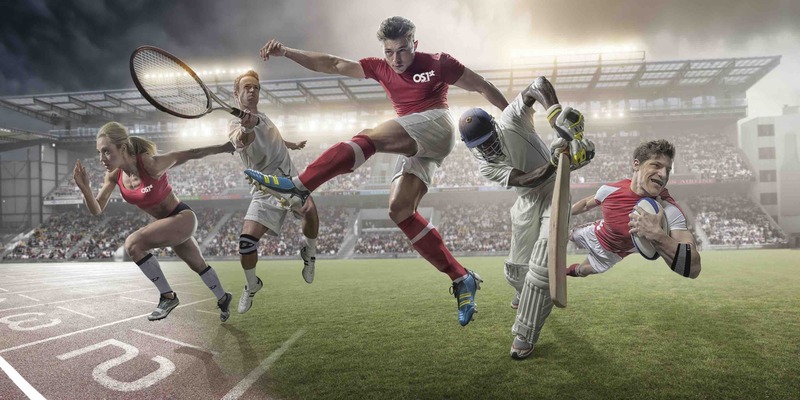 Furthermore, the popularity of this sport has been evenly distributed around the world which accounts to its fan base of 900 million around the world. It was introduced in the Olympic Games back in 1964 and its beach variation was introduced in 1996. However, Tennis, as we know it now with all its modern rules of play, wasn’t introduced until well into the 19th century. This can be played between two or four people, as singles or doubles. This game has been around since the 3rd Century BC, having been established in Europe and Asia as well. However, it was armed with modern rules of play in the 19th Century in England as its original version could get a tad brutal. While India and Pakistan dominated this sport during the first half of the 20th century, the Netherlands and Australia quickly took over that sport. According to recent statistics, Field Hockey has currently got a fan following of over 2.2 billion people from across Europe, Asia, and Africa. This sport has mostly spread across in large part because of the British Empire and the East India Company, and their fervent determination to spread their Culture across the world in their hopes of bringing ‘civilization’ to the different nations. As terrible as the intent may have been, this has grown to be a vastly popular sport popular in UK, Asia, Australia and Africa, basically the erstwhile British Colonies. It came to be formed around the early 18th century and has been vastly popular since then, even though it has taken absolutely no hold over the American Continent, which prefers its alternative sport of Baseball. It has a fan following of 2.5 billion people and is the second most watched sports in the world. With 3.5 billion fans around the world, this is the one sport that pretty much the whole world can agree upon can be claimed the most watched sports in the world. This is simple in rules, easy to grasp and on top of that it’s incredibly fun to watch on TV as well, what with its combination of adrenaline-pumping excitement, man-on-man aggression, tough competition, it’s really no wonder it comes on top. While most countries call it Football, in the American Continents it’s called Soccer. While this has been around since prehistoric times in the rugged and raw form of simply kicking a ball to a target, it has vastly been refined over time with a set of rules and regulations. The most popular international teams in the sport are based in Brazil, Germany, and Italy. The association of soccer is called FIFA and has even given rise to an incredibly popular video game by the same name, which is probably one of the most popular video games out there. This is a list of some of the most watched sports in the World right now. As determining the most influential games would rope in a bunch of complicated algorithms, most of which can’t very easily be quantified. However, do let us know what do you think of this list? Do you agree with this popularity ranking, or do you believe some other vital and most watched sports in the world has been left out which should have been included? Let us know.